If you’ve read my blog long at all, then you know organization isn’t really my thing. But one thing about my pantry project that has me so excited is that once it’s done, I’ll be able to move everything out of my kitchen that I don’t use on a daily basis, and efficiently organize the things that I use regularly. And since I cook almost every day, the idea of having an efficiently organized kitchen really appeals to me. 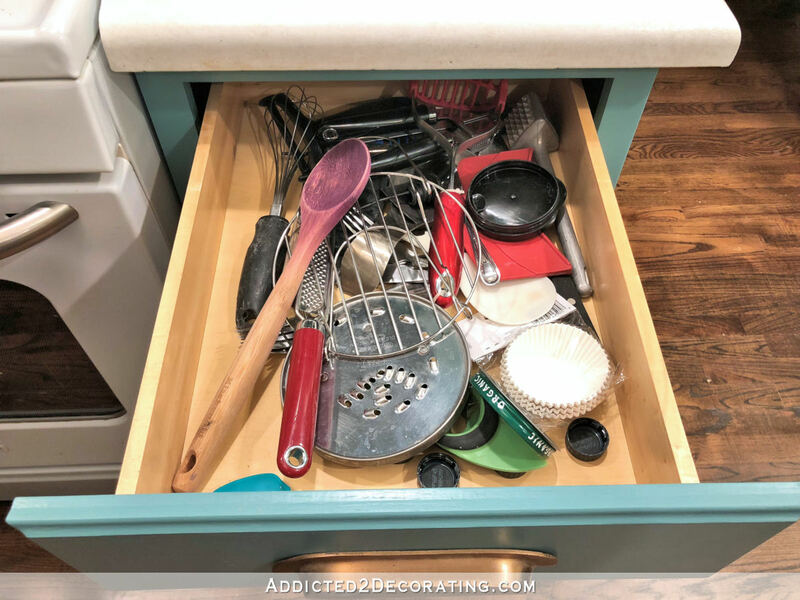 I have lots of ideas for kitchen organization that are “some day” projects — a pull-out shelf for pots and pans, a pull-out drawer specifically for lids, a large pull-out trash bin, etc. But I decided yesterday that “some day” was yesterday for at least one of these projects. After cooking our lunch yesterday, I was so frustrated. I really dislike cooking in the first place, but I do it because we’re doing the ketogenic diet (I’m down 40 pounds…more about that here and here), and it’s nearly impossible to do keto while eating out all the time. So I cook. Every day. And I hate it. …to find the smoked paprika that I knew was hidden in there somewhere, I finally decided that enough was enough. 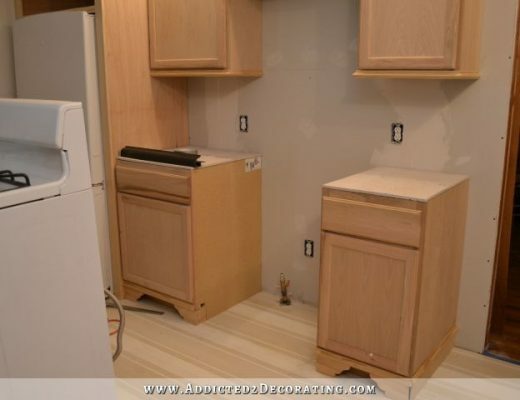 I may not have time right now to build custom pull-out shelves for pots and pans and lids and plastic storage containers and garbage cans. Those will still have to be “some day” projects. But I can certainly wrangle this mess of spices so that I don’t have to spend 15 minutes tomorrow looking for the oregano. So my one and only goal yesterday was spice organization. I’m starting with baby steps. And in doing so, I decided to use this drawer to the right of the stove, which was another unmitigated disaster. I’ll deal with all of that stuff later. For now, I just piled it on the countertop on the wall of cabinets and focused on spices. Now of course, you can purchase ready-made tiered spice drawer organizers, like this one and this one. But I decided to go the DIY route because (1) I was motivated to do this yesterday and didn’t want to have to wait for an online order to arrive, (2) I wanted mine more customized to my particular spice bottles, and (3) it’s cheaper. Cheap and almost-instant gratification is what I was after yesterday. Now about those spice bottles, I ended up purchasing two of these Kamenstein 16-jar spice racks. Interestingly, I found the exact same spice jars (same brand, same size, and empty) at Bed, Bath & Beyond for $1.29 each. So I opted for two of the spice racks from Wal-Mart that actually come filled with spices (and evidently you can get free refills for five years, although I haven’t read the details on that yet, so I’m not sure how that works) for $19.97 each. I kept the spices I wanted to keep from the prefilled bottles, and replaced the rest with the spices from my own cabinet. I peeled the labels off of the bottles (which, surprisingly, came off very easily and cleanly) and replaced them with chalkboard labels that I found in the scrapbook/paper/sticker section at Michael’s. I used a chalk pen to write on the labels, and then when I got them right (I had to wipe off a few a try again), I sprayed them with a clear coat, let them dry, and then attached the labels to the jars. To make the tiered insert. I used what are called “hobby boards” from Home Depot. 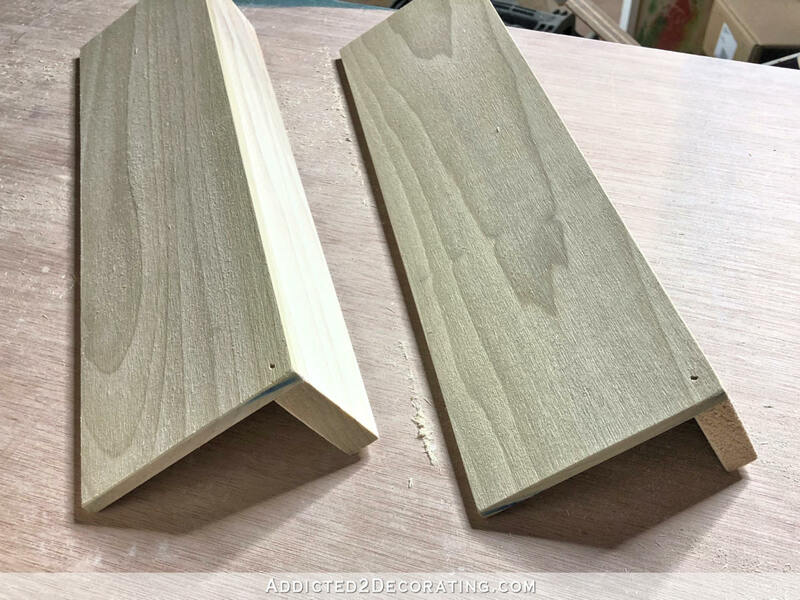 They’re made of poplar and generally cut very straight and square, which makes them perfect for really small projects like this. 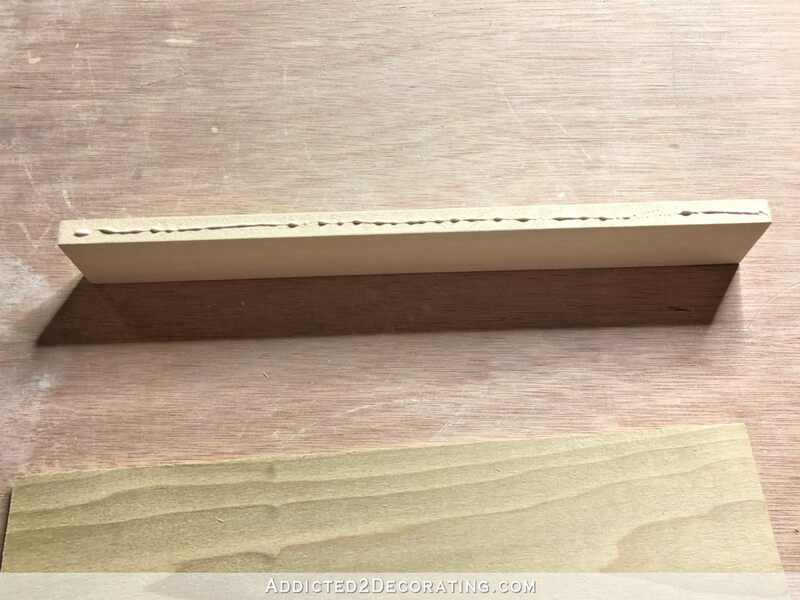 For the part that the bottles actually lie on, I used 1/4″ x 4″ x 24″ boards, cut to the width of my drawer. 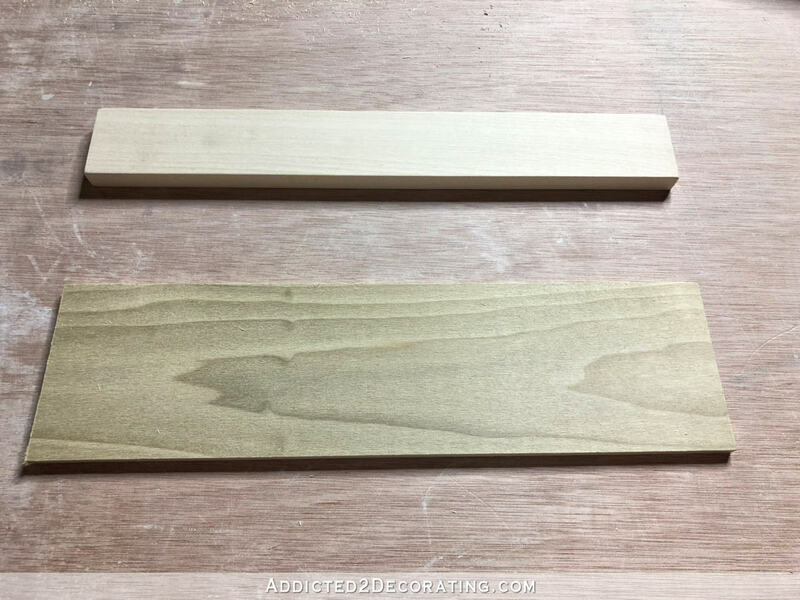 And for the risers, I used 1/2″ x 3″ x 36″ hobby boards, which I ripped to two inches wide on my table saw, and then cut to the width of my drawer. And then placed the 1/4-inch piece on top and secured it with two 3/4-inch 18-gauge nails. I made enough of these to fill my drawer, which fit five. With all five individual tiers put together, I turned those upside down and attached them in the same way (wood glue and two nails each) to form one continuous piece. And then I inserted that into my drawer. Evidently I didn’t figure just right, because initially it wouldn’t fit. (Geometry isn’t my strong suite. 🙂 ) So I just took the whole insert to my table saw and ripped enough off of that back riser so that it would fit perfectly into my drawer. I also had to switch out the drawer slide, because as you can see from the picture above, that back row would have been very difficult to access. 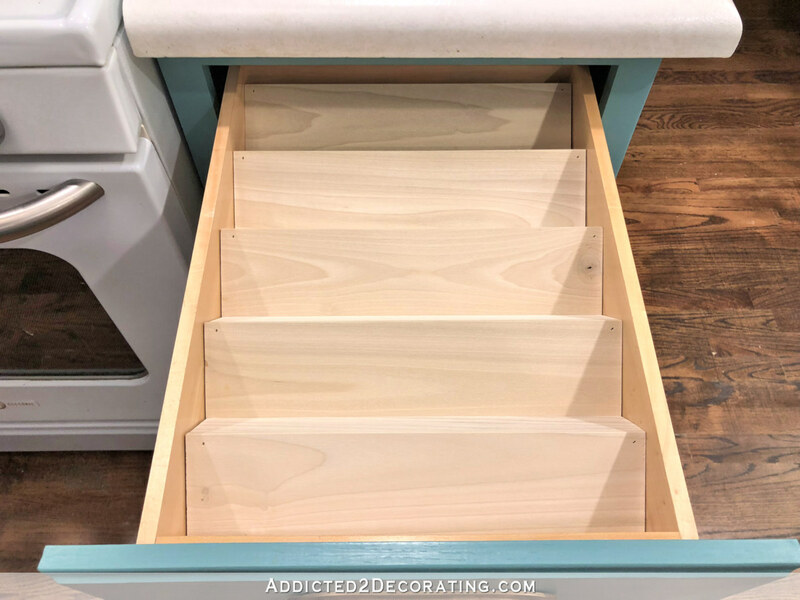 But it was a simple 30-minute fix to swap out that standard drawer slide for a full-extension drawer slide to make that back row easily accessible. And then I was ready to load in the spices. My drawer is 13 inches wide, and it holds 35 spices. Even after filling the bottles with all of my spices, as well as keeping three or four of the pre-filled jars of spices that I’ve never used before but smelled so good that I didn’t want to throw away, I still have room for three more bottles. On the very first row, I didn’t like how the round bottles had nothing to hold them securely upright, causing them to roll into and lean on each other, so I just added a little piece of wood to give those front bottles something to sit on. That was an easy fix to a minor annoyance. If you use spice bottles with a square footprint, that wouldn’t be an issue. It’s a small step towards an organized kitchen, but I’m actually excited to get in there today and cook. Of course, that excitement may be short-lived once I try to dig a certain pot out of the tall stack of pots and pans that’s being held up by the cabinet door, but at least I won’t be rifling through a cabinet for 15 minutes trying to find oregano! 😀 It’s a small victory, and I’ll take it. For some of the other stuff from that cupboard, lazy-Susan turntables work very well. I probably have 5 of them in 2 cupboards. I also suggest alphabetizing. While you are sawing and building, I am cooking and baking, and an alphabetized spice rack (three in my case) is a thing of beauty. The main reason to do so is that some spices are used for both savory cooking and sweet things, so a particular spice is always instantly found if in alphabetical order. 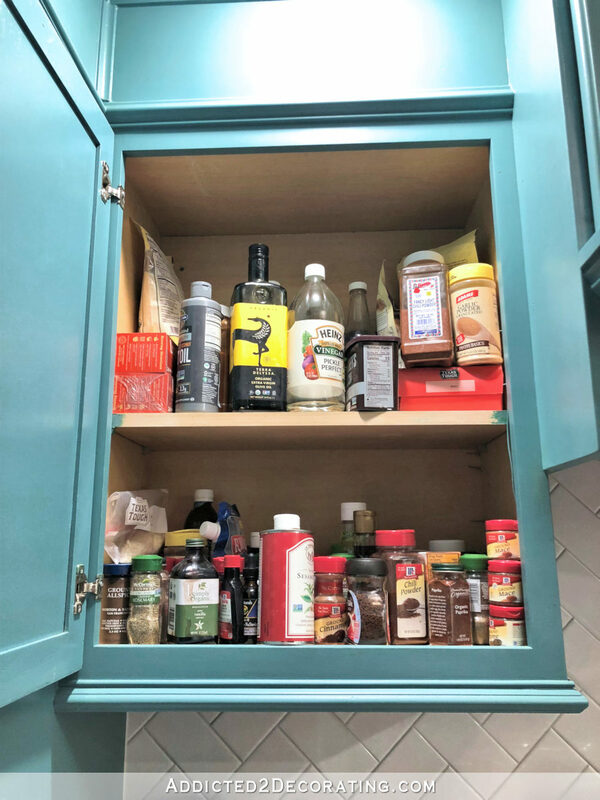 Perhaps after your pantry is finished and you have put your things in there, it would be the perfect time to have a new look at what you need in your kitchen cabinets to make them easy for you to use. Christine is right. Alphabetizing herbs and spices will save you even more time. This is great! Surprised how many spices actually fit in there! I love the feeling of satisfaction from completing little projects like these! How deep are your drawers? 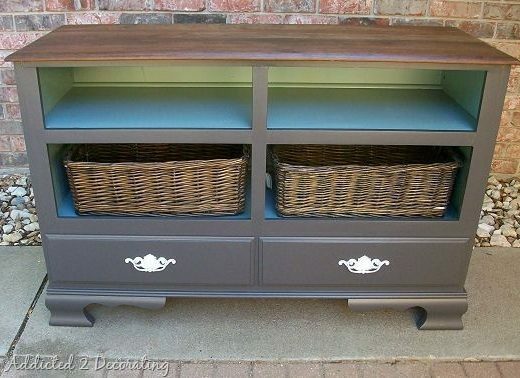 For some reason I feel like the drawers in my house are very shallow and something like this wouldn’t work. That’s what I was wondering also because I feel like mine are too shallow also. What a great little project! I wish I had a spare drawer in my kitchen because my spice cupboard is in a pretty sorry state. My spice cupboard used to look like yours, except it was narrow. We replaced it with a pull-out spice cupboard. So much nicer. I wish I had a drawer available though. Have you thought of using a silverware divider, temporarily, in your utensil drawer? That worked pretty well for me as my utensil drawer looked similar years ago. Could use a wider drawer, but it is what it is. 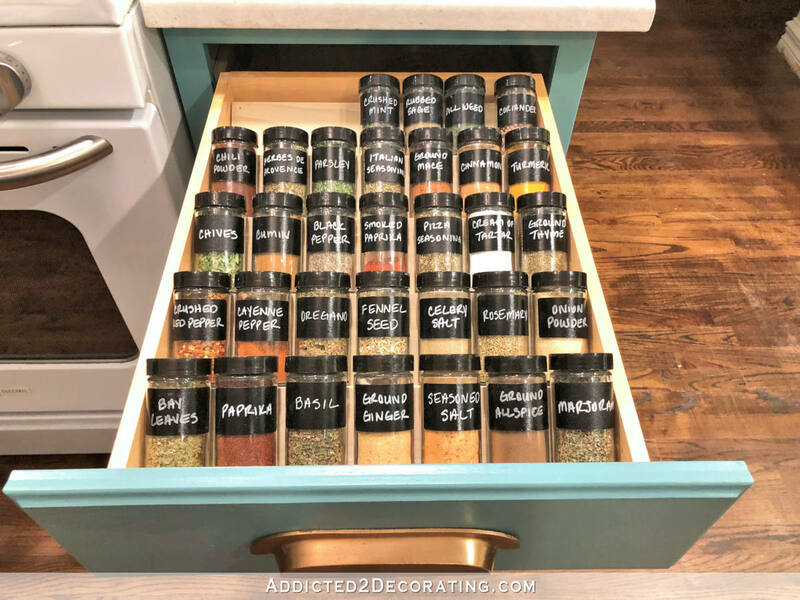 Not only do I have pantry envy, now I have spice drawer envy. I love this and may give this one a try very soon. I do like to cook but my spice cupboard makes me crazy. I think this might help out. If you aren’t crazy about cooking, check out Pinterest for some ideas on freezer meals. Easy to pull out of the freezer and put in a crock put. More time to work on your home. Added to top of to-do list! Affordable, quick, and almost instantaneous gratification!!! Quick reminder, spices and oils deteriorate when exposed to heat, best to store only small amounts next to the range. As mentioned, alphabetizing has saved my sanity….”I know I have that…now if I could just find it”! I Have a plastic rack in my drawer. I love the idea. How deep is your drawer? Mine gets caught on some of the tops of the bottles and jams sometimes. Thanks for sharing. I was going to suggest the same as Sue. I like to cook, but not on weekdays when I don’t get home from work until almost 5. Food prep has become my best friend! Your meals probably look a lot different than mine (I love all kinds of different foods but shoot for simplicity during the week), but I really think food prep makes all the difference!! Oh yes, these small projects are so satisfying! I love organizing and building, so I’ve done several of thes type of projects. I still get happy when I open a drawer or cupboard and everything is right where I can see it. I can relate to a more organized kitchen making one more open to cooking and baking; you are definitely on to something. Like others here, I use lazy susans inside my fridge and for my spices, since my drawers are wimpy. And I organize the containers by type: baking spices together, herbs together, daily-used seasonings together, and then Indian spices together. I really like what you’ve done there, Kristi. I also dislike cooking but cook at home a lot also because it’s healthier. On cooking shows – which my husband watches – they always have all the ingredients premeasured and ready to go before they start cooking. It’s a small thing but it makes it easier and you never forget an ingredient or have things overcook while you’re searching for the next item on the list. Funny how something so little can be bring such joy😃. I have this same setup, alphabetized of course, and my husband still manages to put them back in the wrong place😜. I too was going to mention the fact with these large sizes the spices can go bad. If you have ever gotten your spices from one of the specialty spice stores it’s night and day for quality and flavor! FYI Kristi: was just shopping in high end appliance store this weekend, they were setting up new kitchen display with white appliances (w/ rose gold handles) looks like white is the new trend😃! Love it. I’m with the above folks…. alphabetizing saves tons of time cooking. Also, fyi…. spices, herbs are heat sensitive, they degrade. Living in the south with your heat that might be an unavoidable problem but with sun and heat they become less potent. Curious. I may have missed this…. 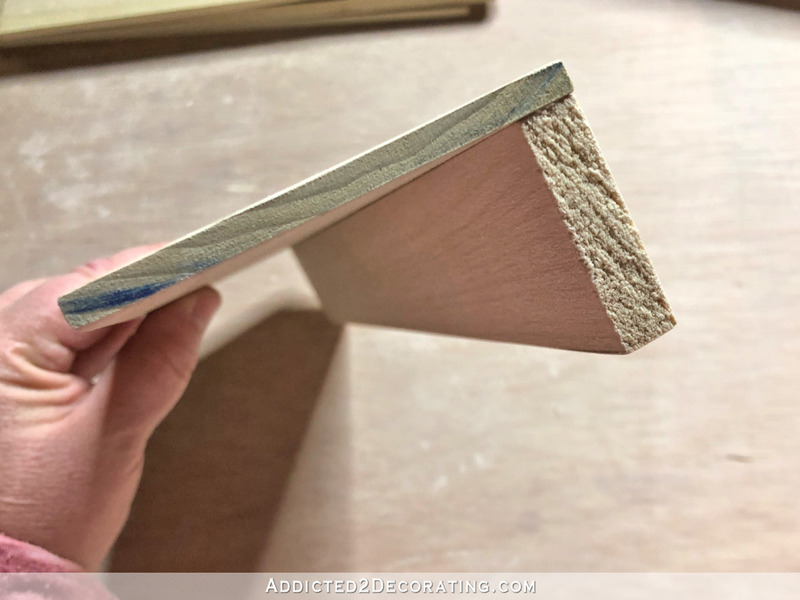 you don’t use full extension, self closing drawer glides all the time? They are such a god send. Have converted all my drawers now, would hate having the old ones again. 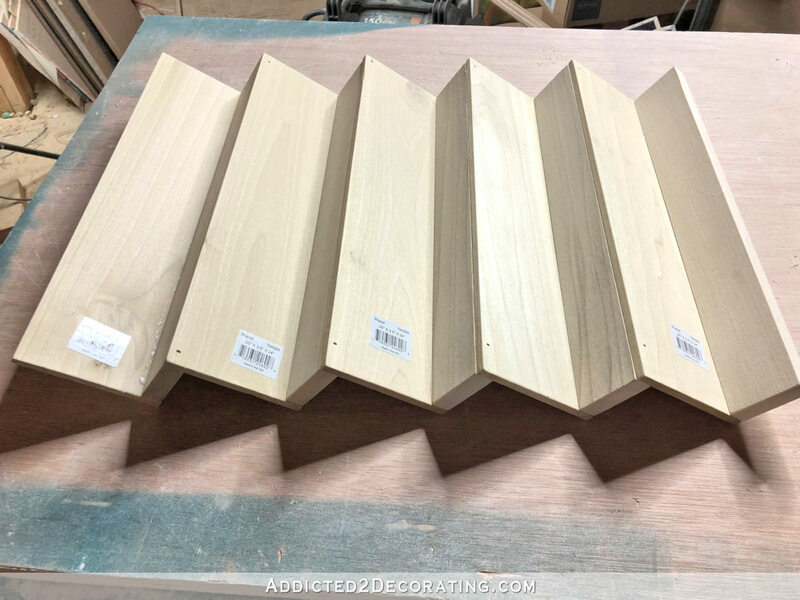 I use full-extension on any drawers I build from scratch, but my kitchen cabinets were ready-made stock cabinets. I’ll probably switch them all out eventually. Ah, that makes sense. Mine were ready made too. Full extension are worth every penny! Cool. 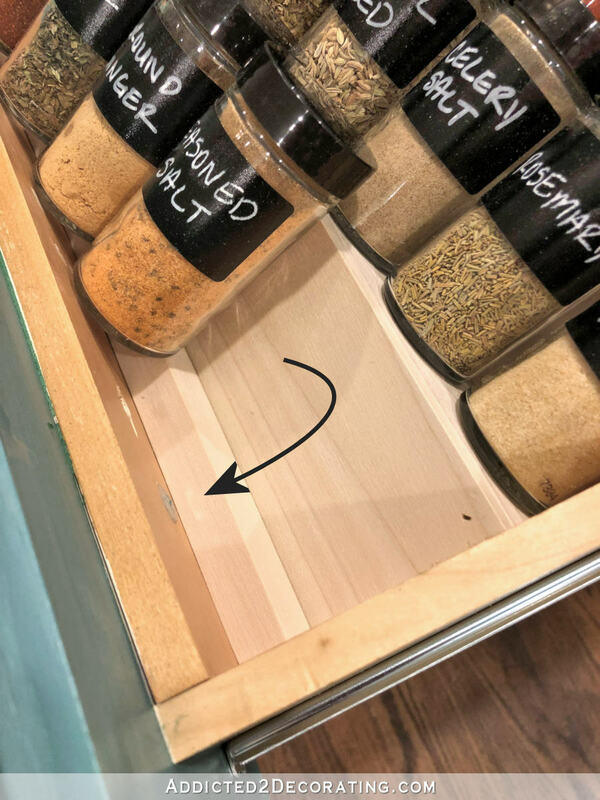 I converted a divided silverware drawer into a spice drawer, but it has no tiers, Now I know how to make some. Thanks. Also you referenced your Keto diet and I may be ready to take the leap. Ive done well on WW the past 18 months, but maintenance is hard and I find myself backsliding…with sugar naturally! So, I checked out the links you embedded and saw it’s been awhile since your last ‘personal Saturday’ post. Will you share your progress and any more tips/tricks with us? I know I love the updates especially with your fur babies. 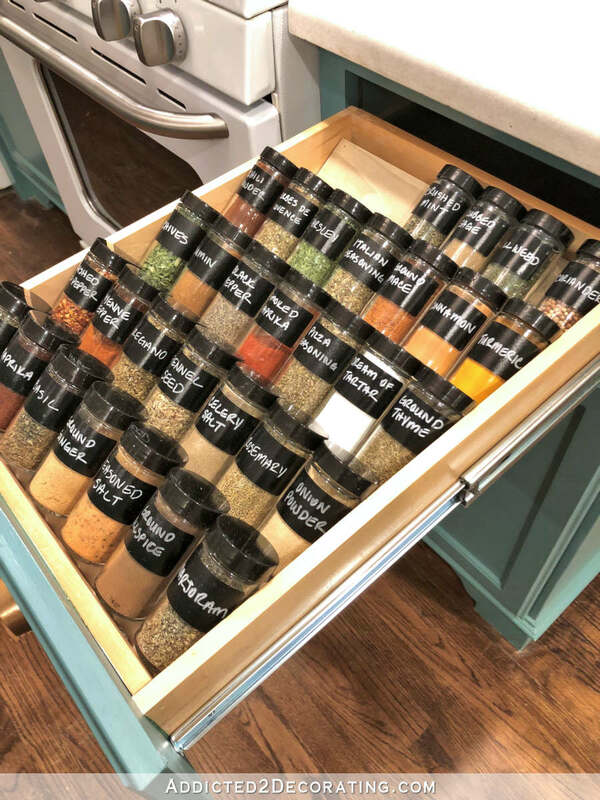 I need to build one of those step type spice racks for the cabinet, because I don’t have a drawer I can commit to spices. My husband and I share the cooking duties, but he’s not as tidy as I am, so I constantly have to search for things. I have the habit of putting things right back in the spot it came from, but can’t seem to get him to do the same. At our last house we had a shelf that was half the depth of the cabinet, but then we were blocking it with taller items. I plan to make two step shelves to fit on the sides, one for cooking and one for baking, and leave the middle area open for taller items. I also need to make dividers for my utensil drawer, and a door mounted holder for my food processor attachments. These are all on my “after the holidays” list. Good for you getting that done so quickly – it will take me 10 times longer! 40 pounds… wow! that is awesome this is not the easiest time of the year, with so many festive foods in the grocery store. 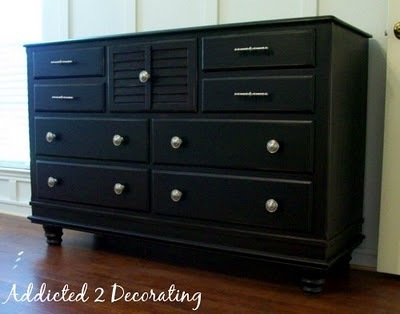 I have very few drawers in my kitchen, so I am trying to figure out which one I could give up for a project like this. 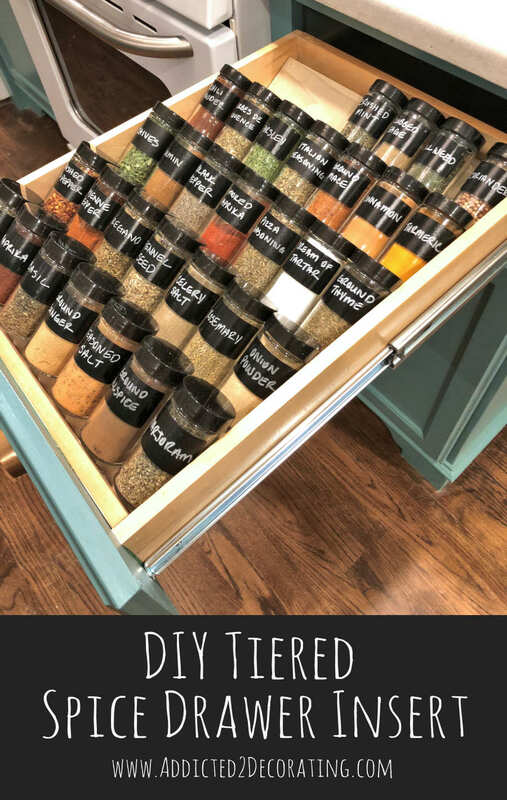 I did something like with tiered “risers” in my cabinet because I have well over 40 spices and didn’t want to take up more than one drawer. Your drawer looks very handy to grab spices easily! I’m definitely stealing this idea! It came out so nice. I use a white out pen to write on chalkboard labels that I don’t want to erase, it’s much easier than chalk! Love this idea. It is so nice and neat and you have amazing handwriting. I was wondering what type of font you used to print those labels before I read that you wrote them. 🙂 Congrats on the keto weight loss as well. I’ve lost about 12 pounds on it myself. Love eating eggs and bacon while losing weight. What a great idea! It looks wonderful. Very handy. I may try it. On another note, congratulations on losing 40 lbs! Unfortunately I like food too much. You. Are. Brilliant!! heart heart heart your ideas!